One of IGFA’s President Bill Carpenter’s most significant contributions was his revamping of the IGFA’s publications and also moving headquarters from Miami to Fort Lauderdale. Other than its oversized and distinctive world record charts distributed yearly to marinas, tackle stores and the like, the IGFA had released little new literature since its yearbook in 1948. Mike Lerner had reduced the size of the record charts to pamphlet form in 1956, but there was no accompanying editorial or information. While angling rules had been clearly spelled out by that time, the process of applying for world records was still largely unknown to the average angler. 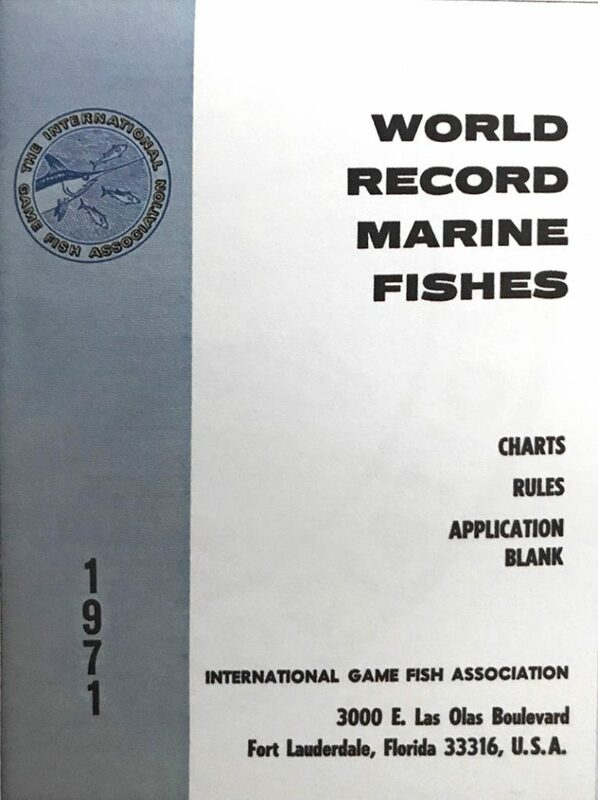 Finally in 1971, the IGFA released its first edition of the World Record Marine Fishes, a 22-page booklet that included a listing of IGFA officers and member organizations, procedures for submitting record claims, and an up-to-date review of angling rules.